Firstly, I would like to say that I consider it an immense privilege to lead an organisation as old and as important to Deaf people as ICSD. While I am President I will always endeavour to advance the interests of all our athletes and members to the very best of my ability. I wish Dr Rukhledev the best of luck with his pending court case in Moscow and I hope that one day we will be able to welcome him back to the ICSD family. 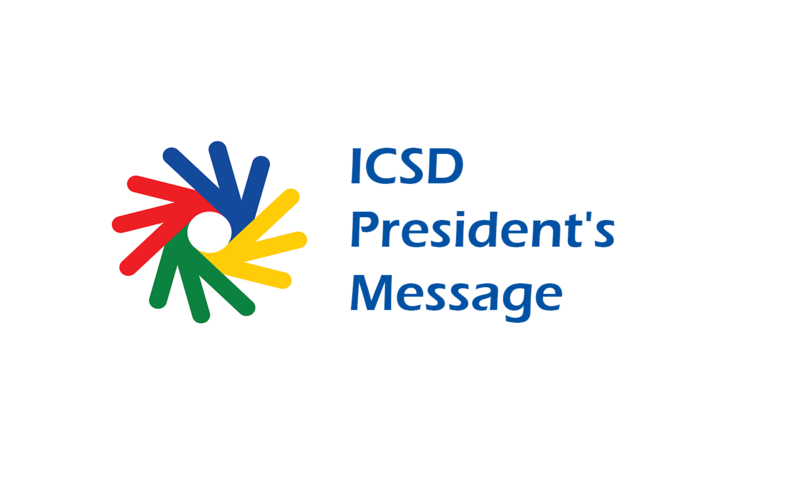 The ICSD Executive Board and I recognise the legitimate concerns that have been raised by a number of member countries. However, we do not believe that an Extraordinary Congress is in the best interests of ICSD at this time. Apart from the considerable cost of hosting an EC, many member countries are unable to afford sending delegates to Congress in between those held at a Deaflympics. We need and value the views of each and every member at Congress, not just those who can afford to attend. However, if a new and valid requisition for an Extraordinary Congress is received by the ICSD Executive Board, we will without question organise such a Congress. In the meantime, we will proceed with addressing the seven (7) matters raised in the recent letters and answer any questions that you may have. The ICSD Executive Board acknowledges that governance is an area in which we need to do better. By now all ICSD members should have received a copy of a high-level plan and a draft pack for ICSD Reform Option C. It is our intention to shortly set up a new ICSD Reform Commission chaired by the ICSD President to oversee this process. This is an ambitious and exciting program, but one that will require significant time and energy to complete. This is a very important task for ICSD and it will only succeed with the passion and commitment of all our members working together. The IOC have kindly agreed to assist us in this process and will provide a representative to the Reform Commission. ICSD will soon be seeking nominations from the members to work on the Commission and for volunteers to help draft the documents. Please watch this space for further information. With every new ICSD President there inevitably comes a change in emphasis and culture. Under my leadership, ICSD will provide more transparency, increase the frequency of its communications, and improve its engagement with our stakeholders. We are working closely with the IOC to provide the information they have requested, and will be meeting them in September to review progress. Shortly we will be making an announcement about the signing of the hosting agreement for our next Winter Deaflympics in Italy, December 2019. As is the case with the Olympic Games, it has become more difficult to secure candidates for our Deaflympic Games. In any case, we are continuing to discuss hosting for the 2021 Deaflympics with a number of member countries. I will share with you any developments as they come to hand. I aspire to seeing all our members working together as one sports family. I will be encouraging healthy debate between members, but I want to see debate where the views of all members are respected. There will always be those who seek to divide us or distract us from the primary purpose of ICSD. I ask you to join me in coming together as one to make an ICSD that puts our athletes and our members at the heart of everything we do.